Melina joined the growing Smilemakers' team in 2010 after being persuaded to move to the UK from a distinguished private dental clinic in Greece. Following graduation with honours from Aristotle University of Thessaloniki and being awarded for exceptional academic achievement she subsequently became one of the youngest published authors in a dental journal. 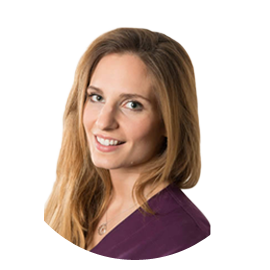 Melina's areas of interest include Orthodontic, Restorative and Cosmetic Dentistry, and her dedication to continuing self improvement in these fields is unceasing. Her dedication and to her patients and the high level of care she provides makes her popular with patients and colleagues alike. Melina is currently studying towards a Masters Degree in Orthodontics, having completed training in Orthodontics & Facial Orthopaedics, Aesthetics and Restorative Dentistry. In her spare time Melina enjoys horse riding, fitness and travel.